During the winter, my already dry skin type becomes extra dry. My skin will start to flake and it’s not just the face, my entire body is affected. My iPhone will not recognize my finger print because the skin is peeling off there so I have to rely on a lot of different products. I mentioned before that I started using a lot of Fresh products. I switched from a light moisturizer to this Deep Hydration Face Cream. It’s a lot thicker than what I’m used to but it seems to help with the flakiness on my face. It doesn’t seem to spread as well as my regular moisturizer but it is way more hydrating. To keep it from flaking, I also do a sleeping mask every few days. My absolute favorite is the Origins Drink Up Intensive Overnight Mask. I’m mentioned this product several times and even after trying other sleeping mask, this is still my go to product for dry skin. I recently started using the Kiehl’s Creme de Corps, which is a body moisturizer. I normally just used body lotion and it was fine but for some reason this winter, my dry skin is acting up. The skin on my body looked cracked and it was so dry that it’s becoming itchy. So I gave this a try. It’s a really thick lotion that’s meant to be used on dry body areas. I apply it after the shower and it’s helping so far. My skin is already looking for moisturized after using the small sized bottle so I stocked up and bought the larger size from Sephora. My hands are probably the driest part of my body. The skin on the tips of my fingers would actually peel off in large circles. I got a set of L’Occitane hand cream a while back and now it’s my go to hand cream. I have to apply hand cream after every time I wash them and I found that the thicker the lotion, the better. 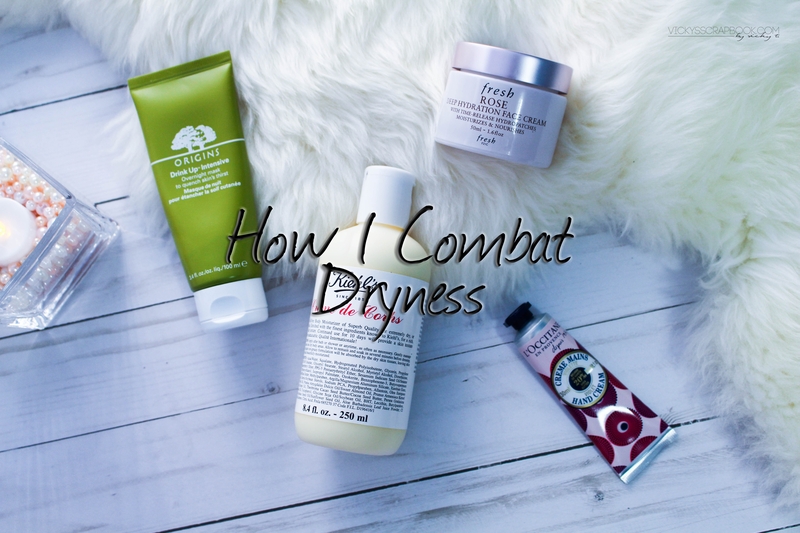 These four products is what’s helping me combat dryness this winter. What are your go to products for dryness? 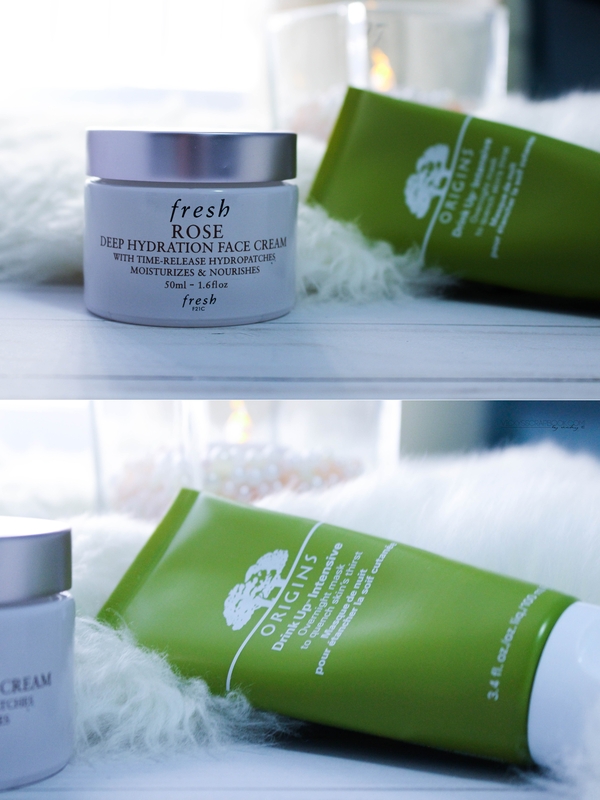 My skin’s been super dry lately too, so I switched over to the Fresh moisturizer too! ❤ 🙂 I love how fragrant it is! I love the Origins mask!